You know their name. You know their music. You danced around your bedroom singing their songs into a hairbrush. You mimicked their outlandish fashions. You can effortlessly rattle off the qualifications of the garden variety "scrub." 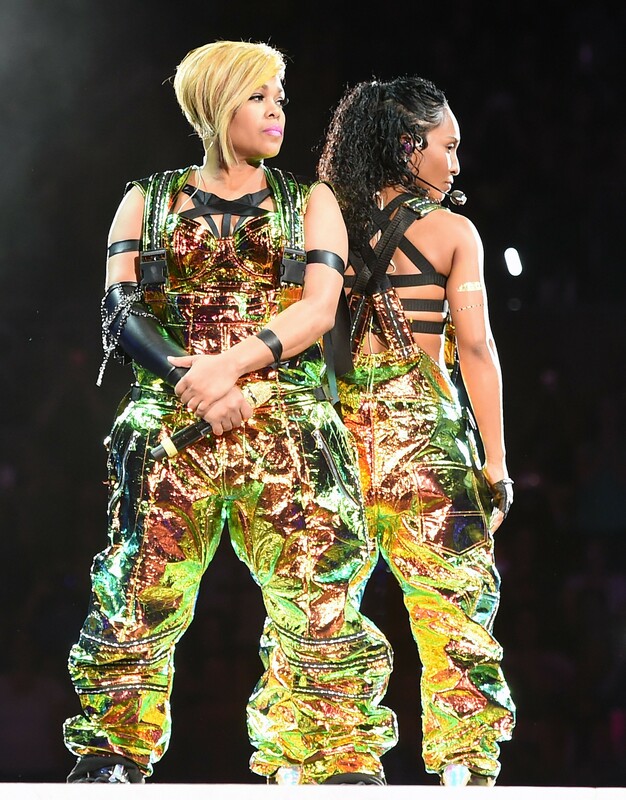 They're called TLC, and they headline I Love the ’90s: The Party Continues Tour on Friday, August 25, at the Champlain Valley Fair in Essex Junction. Sugar Ray's Mark McGrath, Rob Base, All 4 One, C&C Music Factory featuring Freedom Williams and SNAP! add support. Tionne "T-Boz" Watkins, Lisa "Left Eye" Lopes and Rozonda "Chilli" Thomas made up the iconic R&B trio. They dominated the charts in the ’90s with game-changing hits like "Waterfalls," "Creep" and "No Scrubs." But their fame and glory did not come without certain obstacles and tragedy. The women filed for bankruptcy in 1995 at the peak of their careers and, in 2002, Lopes passed away at age 30 in a horrific car accident. TLC released their fourth recording, 3D, later that year. It was the last full album to include Lopes. Despite their stumbling blocks, Watkins and Thomas have endured and remained active on the concert circuit. In 2015, they announced a new album was in the works. 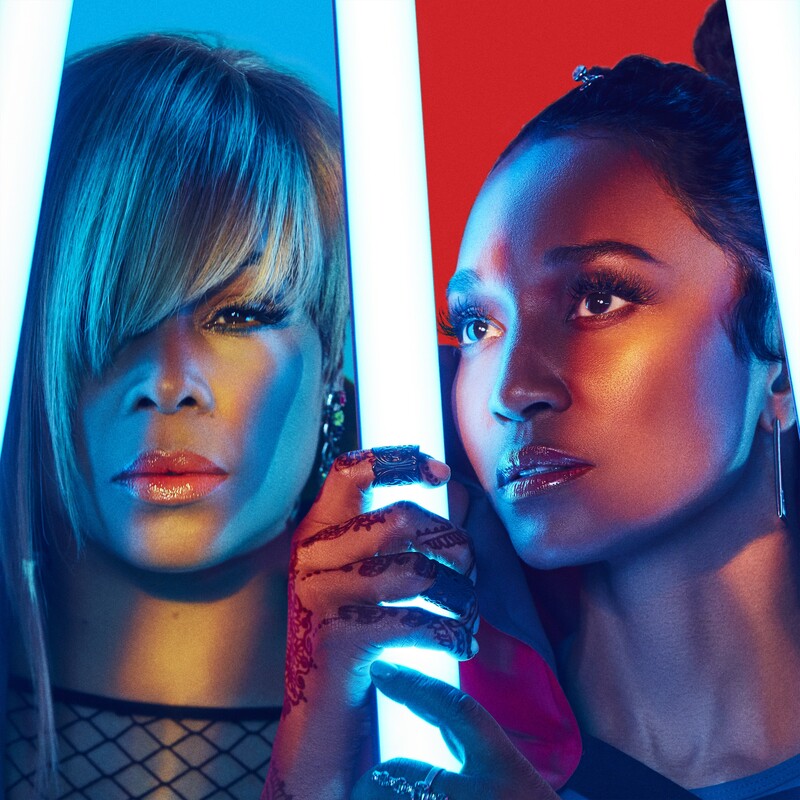 After a successful crowdfunding campaign, they dropped a fifth album, simply titled TLC, in June. It's a perfect update on what we all love and expect from them: danceable jams with a socially conscious message. "American Gold" paints a particularly timely picture of contemporary life with lyrics such as "Pride starts wars" and "I cry for the ones I lost." The lead single, "Haters," makes a simple, definitive statement about who they are and how they see their career. In a nutshell: "Haters gonna hate / People gonna say what they say / We don't care about that anyway." Though TLC claim their newest album is their last one, you'll likely be able to catch them performing in concert for years to come. Seven Days caught up with Thomas by phone. SEVEN DAYS: At last year's installment of I Love the ’90s, Salt-N-Pepa talked about how the power of friendship has been a driving force in their career. What role has friendship played in the choices TLC has made over the years? ROZONDA THOMAS: Well, we're sisters, you know what I mean? It's different than friends. We don't even consider ourselves best friends. T-Boz is my sister. Lisa was our sister. We're family. We always say our relationship is like a marriage that you can't get out of. There are no divorces here. I'll never forget the first time I saw the chemistry between the three of us. We weren't getting along, and at that time I didn't like either one of them. We had a photo shoot, and I didn't want Lisa to touch my arm. I didn't want Tionne to touch my arm. I felt like because I didn't want them to touch me they kept touching me. I was looking at the proofs. I knew what was going on in reality — [but] I was like, "I see it." The picture captured something special. I knew early on. I used to tell them, "Y'all, there's gonna be a movie about us one day." And we didn't have one story to tell yet. But I felt [it] in my soul. We always say, "When we're not nervous anymore going on stage, and when it starts really feeling like work, it's time to stop." But we're not there yet! SD: Your new song, "American Gold," feels really timely. Tell us about writing lyrics. RT: We always talk about everything. With everything that's been going on in our world — that was the inspiration. When we went in to record our album, I was like, "Where is the great lyrical content? There's so much going on in the world. Why isn't anybody talking about this?" As far as the lyrical content, we always stay true to us and talk about things that are going on. Some stuff will feel repetitive. We have a [new] song called "Perfect Girl." It's kind of like a cousin of "Unpretty." It doesn't sound anything like "Unpretty," but it's still talking about self-love and encouraging girls to love themselves and to know that we're not perfect. [On] Instagram, we all like our bright lighting and all that kind of stuff. But when you're altering your look [and] changing it, by the time you post it, [it's] like, "That's not even what [you] really look like." You're portraying this false, perfect thing that doesn't even exist. Nobody's perfect. We all have flaws. Every last one of us. SD: Who's a contemporary artist you admire? RT: Tionne and I both love Bruno Mars. [The music] has a really old-school vibe. The way he delivers it — his energy, his dancing... His stage presence is just phenomenal. And it's fun, happy music. I really, really like that. I love that he's found his niche. SD: How's it going with your nonprofit, Chilli's Crew? RT: I didn't get a chance to do it this year, because we're touring. It pains me, because the time I like to do it is right before the girls go back to school. We're definitely going to do it next year. We help so many young girls, building self-esteem and just letting them know that, no matter what has gone on in their life, it doesn't mean they can't [be] successful and a whole, healthy, good person. I really can't wait to get back to that. SD: I really enjoyed your recent Twitter interaction with comedian Paul F. Thompkins about "relaxing" your policy on scrubs. How did you decide how to respond to him? RT: It was easy. We're never, ever relaxing the policy. It is what it is. It's etched in stone. It's never going to change. I think that those rules — the laws of "No Scrubs" — should go in books. Young girls should learn about this. Young boys, too, so that they're not scrubs. SD: Given that TLC basically wrote the book on unwanted traits in a potential lover, what would the anti-scrub anthem sound like? RT: Well, that song hasn't been born yet. But I can tell you I have a seriously long list of things I would like [in a partner]. Everybody talks about my list. Tionne's list is not quite as long as mine. I'm just not going to compromise [on] anything. Obviously this only comes from some guys, but [they say], "You're pretty shallow." And I think it's pretty funny for a guy to call a female shallow when you can see a guy who just — I don't know — you're surprised to see the girl that he has. And [those guys] only date girls that look a certain way. I'm like, "Is that shallow, or is that preference?" I feel like everything that I'm asking for, I can bring to the table. So, you know, I'm not going to bend my rules. It is what it is. SD: Social media is now inextricably linked to an artist's existence — for better or worse. What are some aspects of social media you wish you had when you were first starting out? What are some things you're glad you didn't have? RT: I personally wish that I could shut down my Twitter page and my Instagram. I really would like to not be on social media at all. Not that I don't want to interact with my fans, because that's the part I do love so much. But I think that a little mystery is good, you know what I'm saying? I don't think that being so exposed is a good thing. Because that can become bigger than your art. There are some artists [who have] more people [caring] about what's going on in their personal life than the next song they're going to put out or the next movie they're going to be in. I just don't like that part. It takes away the mystery. A lot of people find out that your politics are different than theirs, and [that] this is different and that's different. And then they don't like you anymore. They don't want to buy your music. That kind of stuff is not important to me. Who cares? As long as [they're] not a serial killer, you know what I mean? Or, [if] someone's doing something morally bad — it's like, whatever. Whatever you love about them, they do that thing well and it brings joy into your life. I don't like that part of [social media], the pure openness. It's too much. SD: What can fans expect from your show on Friday? RT: They can expect an explosion of energy — not only from us but [from] our band, our dancers and our outfits. We come from that world of costumes, you know? You'll never see TLC onstage with just some jeans and hot top. It's just not happening. When Halloween rolls around, you'll have more choices. You'll want to dress up like TLC. If you ever see us onstage with some jeans and just a shirt — please know it's rehearsals or something. Also, I might crowd surf. We'll see. I do that sometimes. And let me just let everyone know, I'm not very heavy. And sometimes I've jumped in the crowd — and I'm not lying — this one place, I jumped into the crowd and they just held me. It felt like that scene in Dirty Dancing. I'm like, "Pass me around!" [So] if I jump, I want to surf! Just pass me around and get me back to the stage eventually. And don't drop me.